This 2002 Jeep Patriot Series stripe kit is manufactured to meet or exceed OEM stripe/decal standards. Your specialty Jeep deserves the best stripe kit on the market. 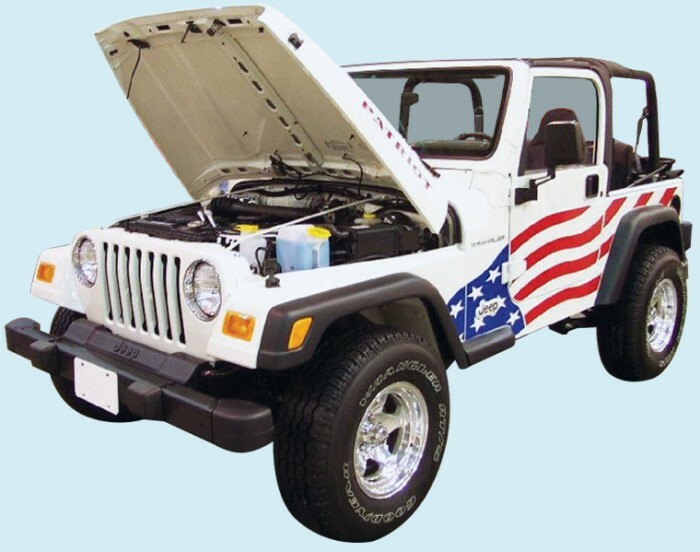 Increase the value of your Jeep with a stripe/decal kit from Phoenix Graphix.